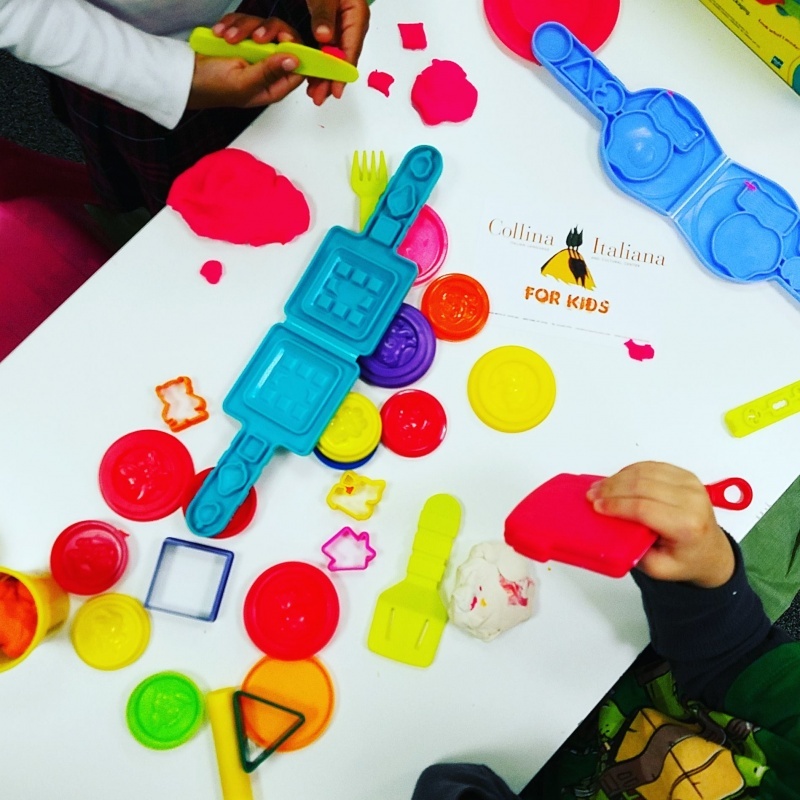 Collina Italiana is an Italian Language and Cultural Center that offers different programs through which children learn the language in a playful environment. Art&crafts, music, songs, dance, games, and a lot of FUN the Italian way! 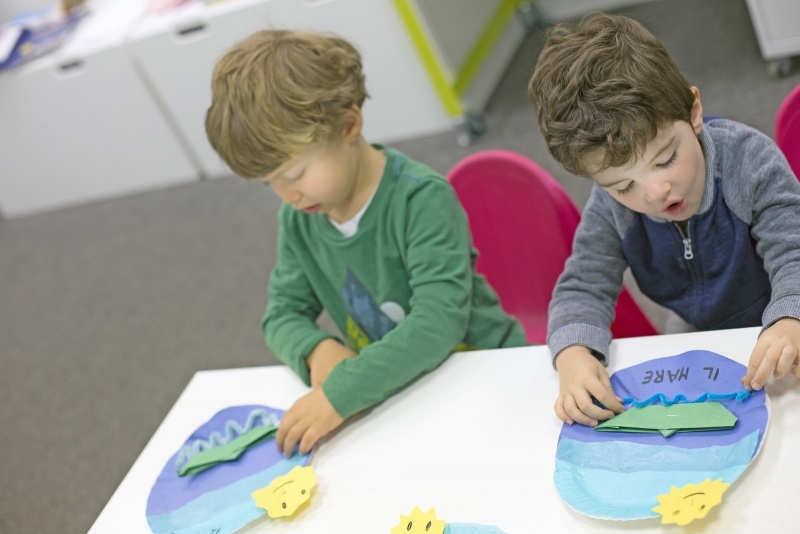 This year-round kids' program offers comprehensive language learning and hands-on instruction in the arts to children ages 2-3 (Girotondo Giallo) / 4-5 (Girotondo Rosso) / 6-8 (Girotondo Blu) / 9+ (Girotondo Viola). In Girontondo ("Circle") an experienced instructor provides opportunities for kids to learn Italian through play and activities: games, songs, dances, storytelling, and film (Disney movies in Italian). 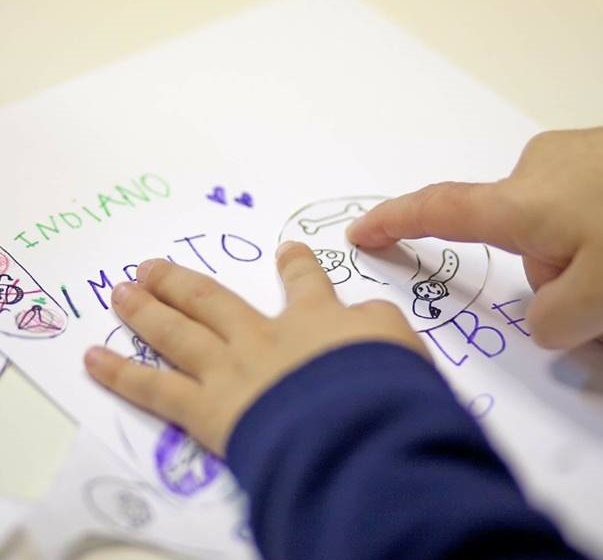 Participation in multiple arts and crafts projects also reinforces the children's Italian language skills. Children are placed in groups (max. 7 children) according to age. 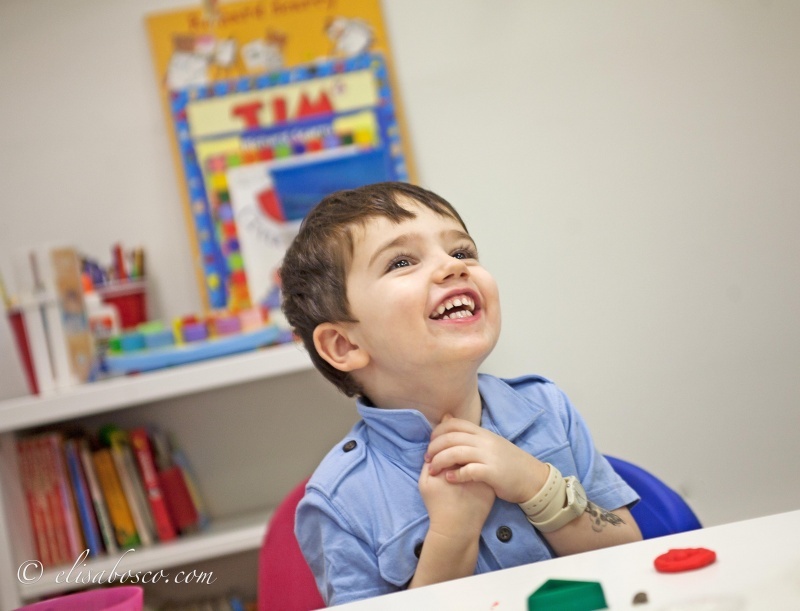 Giardino dei Bambini is a morning drop-off playgroup at CI for kids ages 2-4. Children may join in on the fun every Monday, Tuesday, Thursday and Friday, 9-11am OR 9-12pm on an as needed basis. Experienced instructors provide multiple opportunities for kids to learn Italian through play, while learning important socialization skills. The program offers language learning through games, activities, songs, dance, theater, and hands-on creativity (art projects). 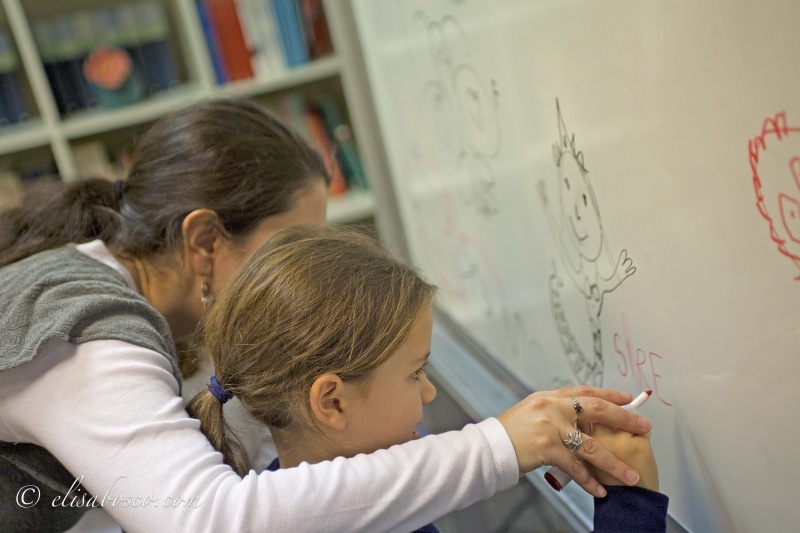 Collina Italiana offers Italian private and semiprivate classes both on- and off-site for children all ages. Inquire about schedule and rates. Collina Italiana (CI) is pleased to announce its Italian Summer in the City on the Upper East Side of Manhattan. It is a weekly basis mini camp, very flexible (minimum 2 days per session). 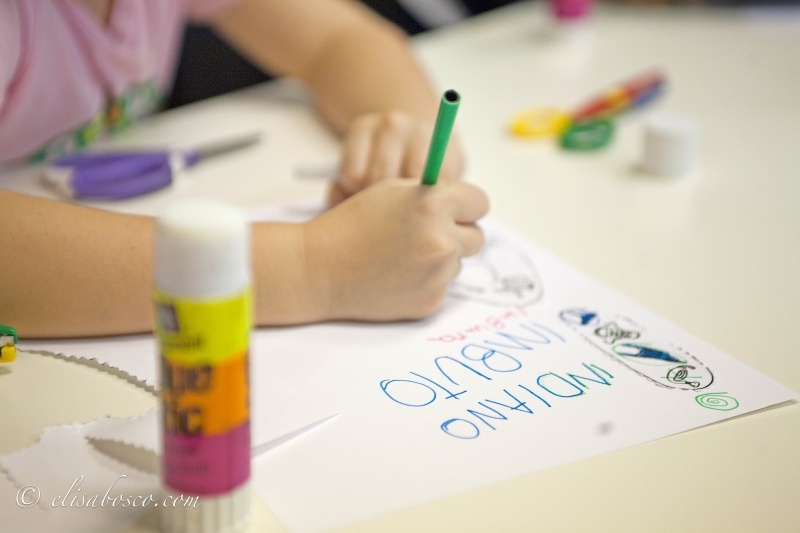 The program is designed for kids 3-6 year old (and parents) who want to absorb the warm and lively culture of Italy. Have fun Italian style: learn and practice Italian, meet new friends, and enjoy a unique summer in the city. Giochiamo in Italiano: learn Italian through play – music, theater, and games. 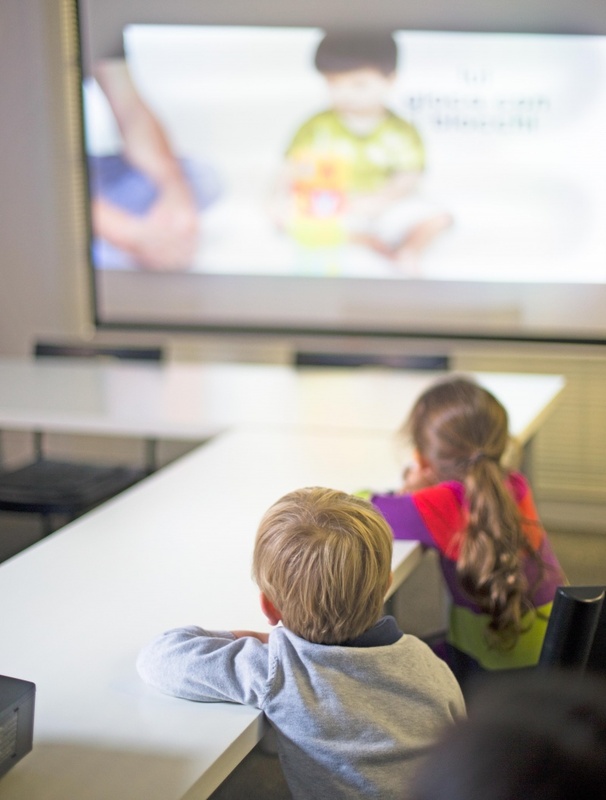 Cinema Italiano: study Italian through animated movies and cartoons. Arte Insieme: be creative – make art and speak Italian. Piccolo Teatro: perform your favorite star. Act in Italiano. Il Tavolo in Italiano: summer school but more fun! NEW! 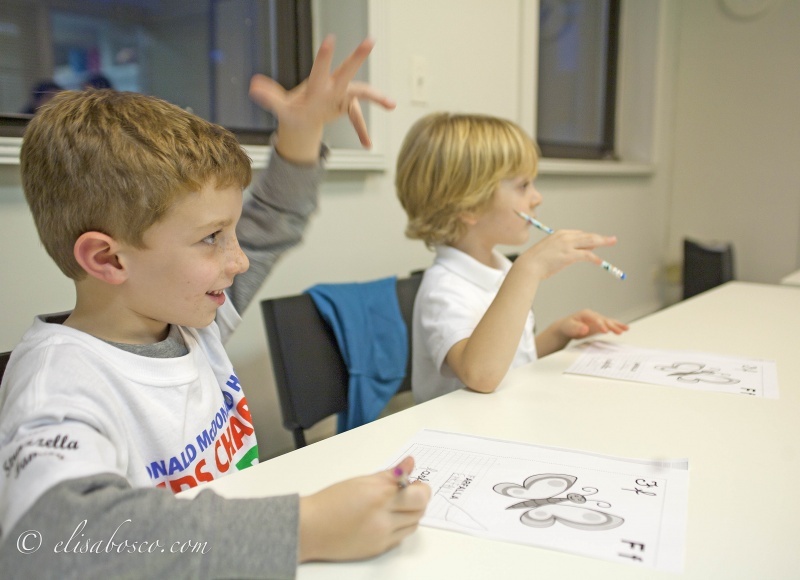 Kids 5-6 yo: Reading & Writing in Italian! Discover Italy through activities, games and projects, focusing on Italian Culture and Traditions! Italian Summer in the City on the Upper East Side is for kids 3-6 who want to absorb the culture of Italy. 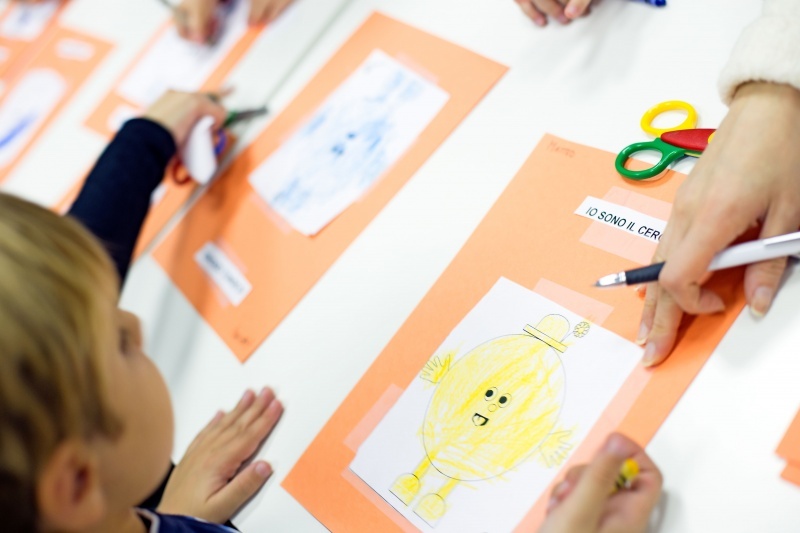 The program includes: Giochiamo in Italiano-learn Italian through play; Cinema Italiano-study Italian through animated movies; Arte Insieme-make art, speak Italian; Le Uscite-outings to museums; Il Tavolo in Italiano–lunch time! ALESSANDRA GRECO, Children's Program Director for 3 years at CI, was born and raised in Rome. She earned a degree in Foreign Languages and Literature from the Universita' degli Studi Roma Tre. Her studies included: linguistics, philology of Germanic languages, Italian literature, and English literature. In addition to mastering English, Alessandra has learned Spanish and French. An Instructor of Italian for more than ten years both in Italy and abroad (England-Ireland-USA), Alessandra is an experienced instructor, especially adept with children, and working forever with programming. She teaches adult classes at CI too.